It comes after 80 years of film and production companies being forced to pay Warner/Chappell Music Inc to feature the song, avoid using it completely or avoid copyright by characters awkwardly interrupt the singing as it starts. But US District Judge George H. King ruled on Tuesday that the music publishing company can no longer collect royalties, as it does not hold a valid copyright on the lyrics to the tune that is one of the mostly widely sung in the world,. “Happy Birthday’s” original copyright, obtained by the Clayton F. Summy Co. from writers, only covered the tune's musical arrangement and not the lyrics, he concluded in a 43-page ruling. It came at the conclusion of a lawsuit filed two years ago by Good Morning To You Productions Corp, which is working on a documentary film tentatively titled “Happy Birthday”, alongside several other plaintiffs. The lawsuit also asked for monetary damages and restitution of more than $5 million (£3.3 million) in licensing fees that had been collected from thousands of people and groups who paid to use the song over the years. Marshall Lamm, a spokesperson for one of the plaintiffs' lawyers, said that issue would be determined later. Ruypa Marya of the music group Ruypa & The April Fishes, who also fought the case, praised the court’s decision. 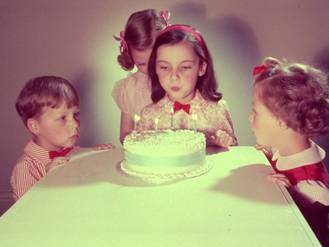 “I hope we can start reimagining copyright law to do what it's supposed to do — protect the creations of people who make stuff so that we can continue to make more stuff,” said Marya, who added she paid Warner/Chappell $455 (£300) to include “Happy Birthday To You” on a live album during which members of her band and audience sang the song to her the night before her birthday. Warner/Chappell has said it does not attempt to collect royalties from members of the public singing the song and only targets those who use it in a commercial enterprise. “We are looking at the court's lengthy opinion and considering our options,” Warner/Chappell said in a statement following Tuesday's ruling. “The origins of the lyrics to Happy Birthday (the 'Happy Birthday lyrics') are less clear,” the judge continued, adding the first known reference to them appeared in a 1901 article in the Inland Educator and Indiana School Journal.